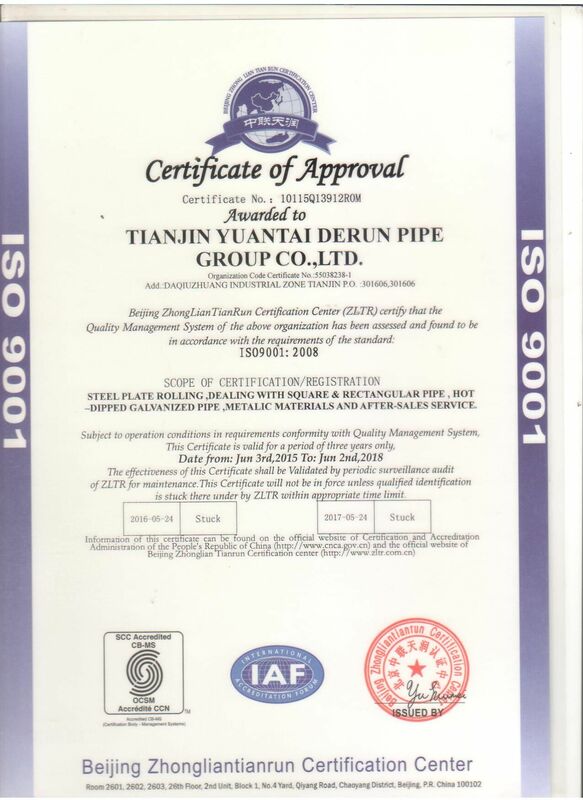 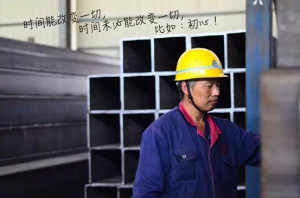 Tianjin Yuantai Derun Pipe Manufacturing Group Co., Ltd, itinatag Marso 2002 , is the biggest manufacturer specializing in ERW square&rectangular tube/pipe, hollow section structure pipe, galvanized pipe and spiral welding pipe in China. 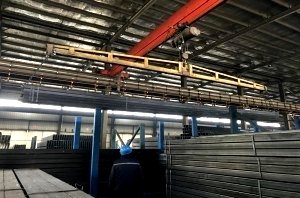 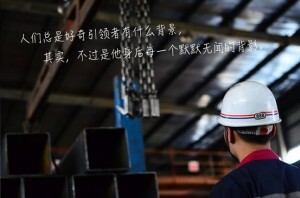 Annual output reaches 5 million tons.Yuantai Derun has 59 production lines of black ERW pipe, 10 production lines of galvanized pipe and 3 production lines of spiral welding pipe. 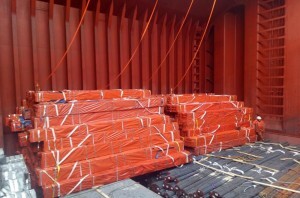 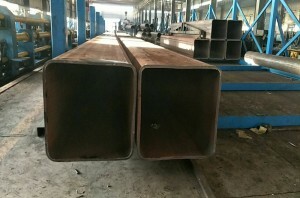 Square pipe from 20*20*1mm to 500*500*40mm, rectangular pipe from 20*30*1.2mm to 400*600*40mm, welded pipe from 2”—60” can be manufactured. 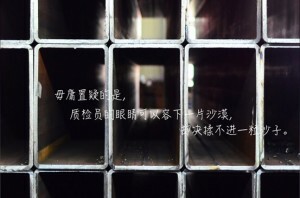 Yuantai Derun can manufacture square rectangular pipes as per the standards of ASTM A500, JIS G3466, EN10219, DIN2240, BS1387, AS1163. 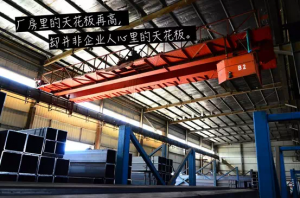 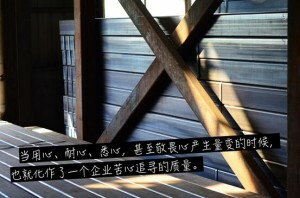 Ang mga produkto ay ginagamit sa China sikat na mga proyekto tulad ng National Stadium (Bird Nest), ang National Grand Theatre at ang Zhuhai-HongKong-Macao Bridge.